Last week we heard the story of the Prodigal Family. Yes, the Prodigal Family. Prodigal means wastefully extravagant and that's a descriptor that suits every character in that story. It’s pretty easy to see how the younger son could be considered prodigal, right? He squandered his share of the inheritance, which he asked for early. The older son, was also extravagant, but in his moral rectitude. He was so jealous and self-righteous that he wouldn’t even come inside the tent for a party. And the father: extravagant in his grace, forgiveness and love! This Sunday though, we encounter another sort of wasteful extravagance. Jesus visits his friends Mary, Martha and their brother Lazarus, whom he raised from the dead. It may be that the meal was a celebration for the life of Lazarus, or rather his new life lease on life. 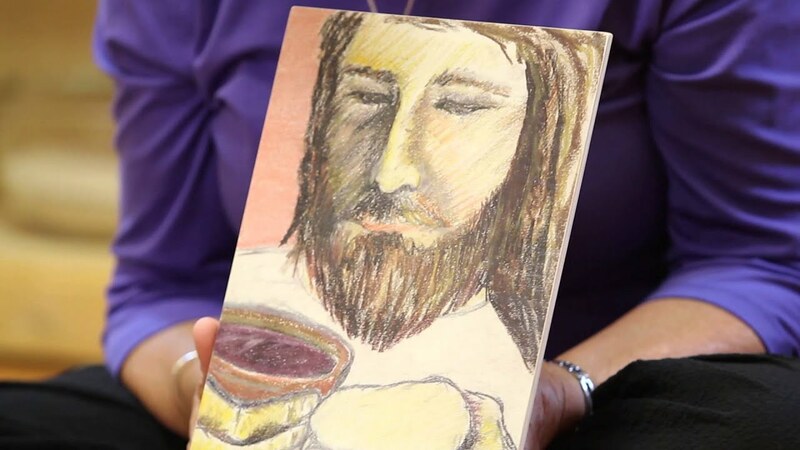 Lazarus and Jesus were seated at the table, Martha was serving food and Mary took one pound of costly perfume (nard) and poured it over Jesus’ feet, anointing them. She even let down her hair and used it to wipe up the excess. Judas, who was there as well, turns his nose up at the whole affair. I guess he didn’t like the smell of nard. He thought a more appropriate use of such luxury would have been to sell it and give the money to the poor. Apart from the fact that the author of the Gospel accuses him of ulterior motives, Judas’ suggestion does give us something to consider. What is the appropriate use of our abundance? Each of us has something to offer; a gift that may seem so precious we might not imagine letting it go. Is it your time, or money or yourself, your talents and strengths. Maybe it is something you’ve inherited, or saved up to acquire. Mary’s willingness to offer something so precious begs us to ask ourselves, what would we give up for Jesus (especially if we believe what the well known hymn tells us, that we can find Christ in face of friend and stranger). But Mary’s gift also has something to show us about love. We see love’s extravagance. Love is not love if it nicely calculates the cost. It gives all, and it's only regret is that it has not still more to give. We see love’s humility. It was a sign of honour to anoint a person’s head. But Mary would not look so high as the head of Jesus. We also discover love’s unselfconsciousness. Mary wiped Jesus' feet with the hair of her head. In Palestine no respectable woman would ever appear in public with her hair unbound. On the day a girl was married her hair was bound up, and never again would she be seen in public with her long tresses flowing loose. That was the sign of an immoral woman. But Mary never even thought of that. As we move into the second half of Lent may we discern when to share extravagantly what is most precious to us. In Jesus’s death we see the ultimate pouring out, in greek: kenosis, or self-emptying. In his resurrection we encounter a most extravagant grace, shared freely with us, promised to us. Prepare yourself to receive these gifts. 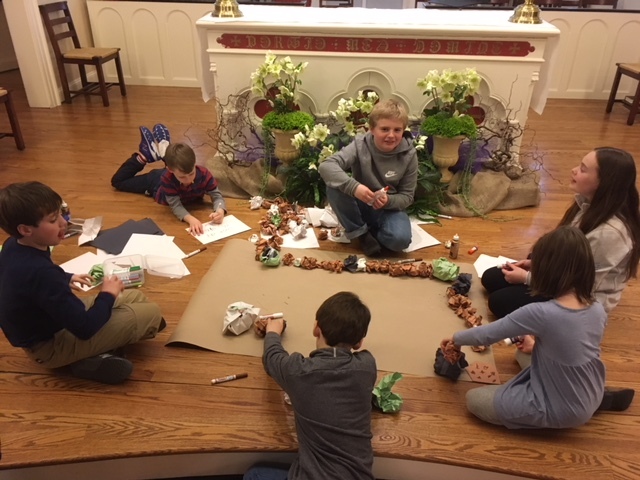 This week our students in the “Little Church” will continue to explore the life of Jesus and its narrative arch towards the Cross, and of course, to Easter Day! What is lovely about this series of Godly Play lessons is that lands squarely in a mystery that young people seem to understand more than we might: That Jesus died, but he is always with us. Wait, what is Little Saints? It’s a new class for children who are 6, 7 and 8 years old. This week these students will begin in Children’s Chapel as “Leader’s in Training” and just before the Godly Play lesson will move to a classroom in the nursery school. The need for this class is a wonderful sign that we have enough children to warrant a new section. 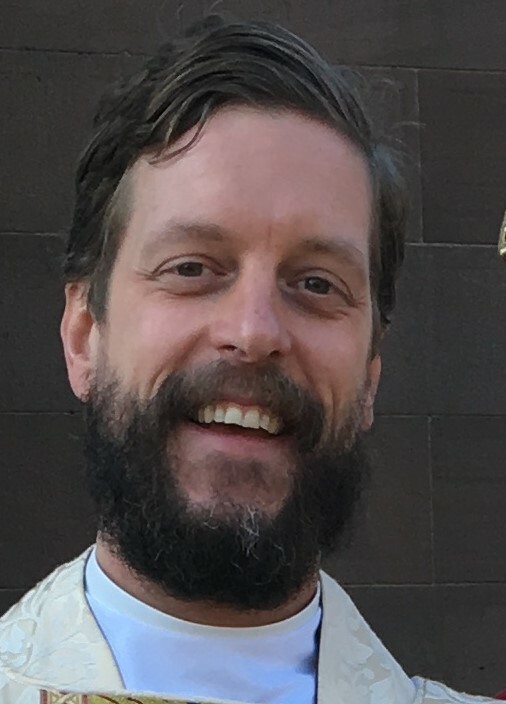 This class will be shepherded by our our Curate and other volunteers. During this season of Lent our Little Saints will work on learning words that are important to the season and what they mean for us as members of the church. 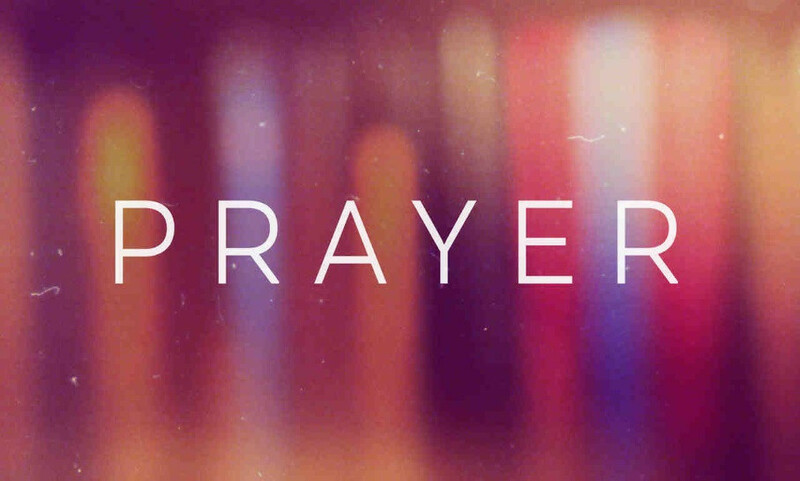 This week we will explore the word Prayer. Using the Sunday Paper, our oldest Sunday School Students will explore the Gospel lesson for this week. In the story we hear about Jesus visiting his friends Mary, Martha and Lazarus. Mary decides to use and entire pound of costly perfume to anoint Jesus' feet. Is that a waste? Or a sign of extravagant love? Our students will learn about ways that communities come to a consensus and discuss: when is a good time to store up, and when is a good time to pour out? A Lenten retreat for young people (8-11). Parents and children will eat together, but when the "Life in Community" program begins for adults in Bleecker Hall the young people will go to the church to play games and create crafts, focusing on bible passages that touch on life in Christian community. A great opportunity for kids and parents. Come enjoy the magic of the Cathedral of the Incarnation after Dark! Join us for an overnight experience for youth groups and adult chaperones leading into Holy Week! Grades 6-12 are welcome! The cost is $20 per youth. There is no cost for adult chaperones accompanying youth. If you have a desire to help grow our wonderful youth formation program please reach out to a Sunday School teacher or a member of our clergy. You will need to set aside some consecutive Sunday mornings (as few as three). A desire to see children grow in the faith. The willingness to grow your own faith through this experience. No theology degree neccesary.